It’s that time of year again and if you haven’t seen them hawking their sugary treats around town or been asked by a friend or relative to buy them then clearly you’ve been living under a rock. 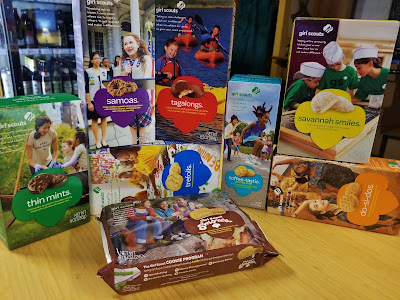 Since Chris’ niece was once again selling them, he was once again buying a box of each variety available. Apparently the beer gods looked favorably upon us because we were able to sit down for our annual pairing foray less than a week after the cookies arrived. In advance of gathering at our local we perused past years’ pairing posts to see what beers had worked with what cookies, keeping a particular eye out for the unexpected pairs like Do-Si-Dos (peanut butter sandwich cookies) and Bell’s Winter White (Belgian style) or Samoas (coconuty) with Baerlic What the Fluff (hazy IPA). Referencing that information aided some of our decision making while the rest was left to our palates’ preferences and what shiny new things were available this year. 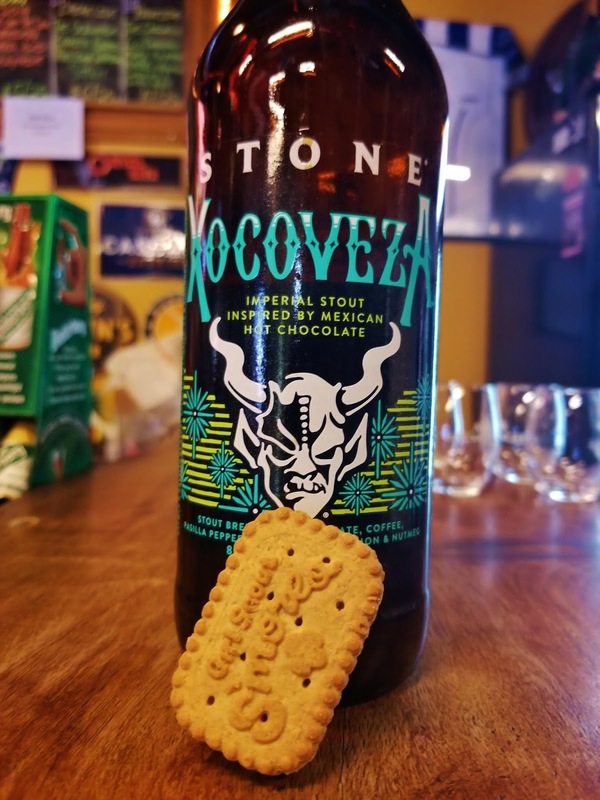 Our friend Paul brought this treat from his collection and overall the big, boozy stout brewed with maple syrup was a hit both on its own and with many of the cookies. With Toffee-tastic, the gluten free cookie that we were quite happy to see return this year, the pairing took on the flavor profile of French toast. The cookie provided a brioche-like base with its toffee bits playing off the maple syrup notes in the beer. Not surprisingly the rich coconuty Samoas made for a very decadent pairing. 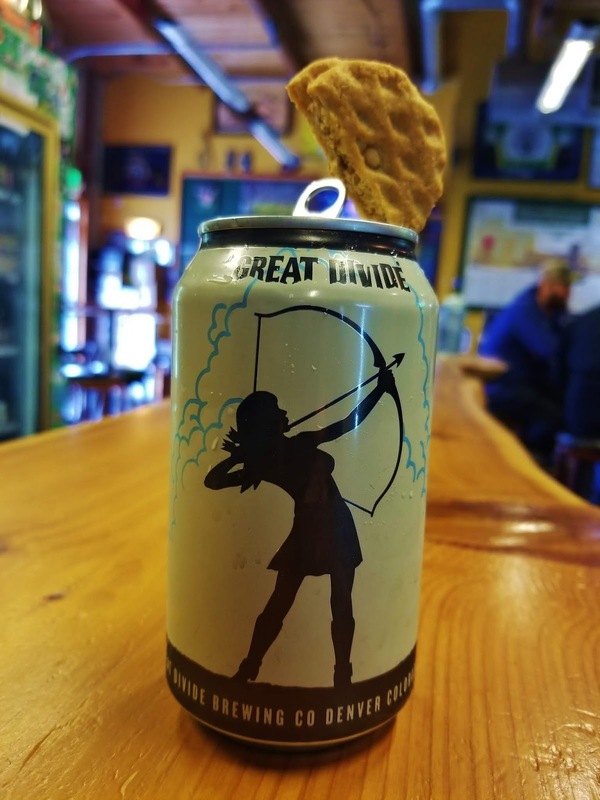 Thin Mints, for all of their perceived easy pairing with big, dark beers, have often not been as compatible as we had hoped however here the beer brought the mint to the forefront, making it pop in a deliciously sharp way. A favorite beer of Caren’s, this imperial stout was brewed to have a flavor profile similar to that of Mexican hot chocolate - deep with a balanced spiciness. As with the Block 15, it worked well with many of the cookies but particularly well with S’mores. This sandwich cookie not only does a great job of smelling like a s’more but also tasting like it and when paired with this beer the marshmallow flavor became enhanced to the point of almost reaching coconut. We’ve been impressed with Trap Door’s beers in general however none of us were particularly enamored by this sour/gose, that is until we had some cookie in our mouth at the same time. A tropical take on the traditional peanut butter and jelly sandwich resulted from pairing it with the Do-Si-Dos and the bright fruit helped to lighten up the chocolate covered peanut butter goodness of the Tagalongs. That light fruitiness also worked well to balance the overt sweetness of the S’mores cookie. While we have primarily stuck to beer pairings, we have occasionally cracked open a cider and often found a compatible cookie for it. 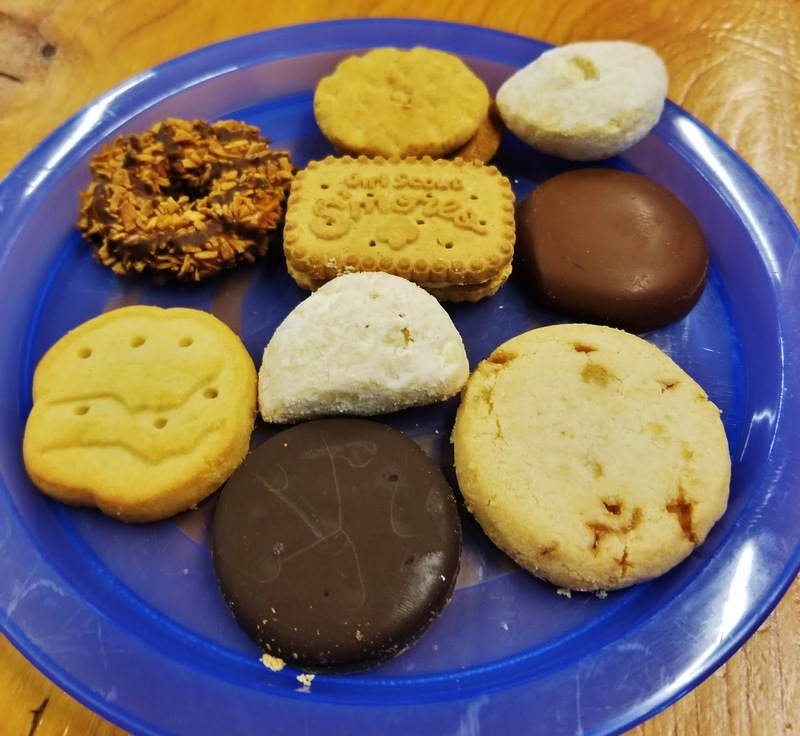 This year we tried out an apricot cider, agreeing that it was enjoyable on its own, and found its best mate in the tried and true Trefoils (aka Shortbread). The cookie’s butteriness held strong with a pleasant contribution of bright fruit from the cider. For a lighter pairing, the Savannah Smiles lemon cookie hit the mark. This Belgian-style ale “with spices” is in the same family as the Bell’s Winter White we mentioned previously. Similar to it, it’s not a beer we find particularly enjoyable on its own but we did find a pairing that redeemed the beer - the super sweet Samoas. The beer did its part to balance the cookie’s sweetness while the cookie transformed the beer into something that we quite enjoyed. Another big, dark beer, this 13.4% ABV whiskey barrel-aged wee heavy ale also found a friend in the Samoas, here being decadent instead of being lightened. For being a "controversial" cookie (depending on your feeling about coconut) this year it turned out to be one of the most versatile and successfully paired cookies. Thanks to all the friends that joined us, our local and the beertender on staff for making this another fun and palate-informing outing! 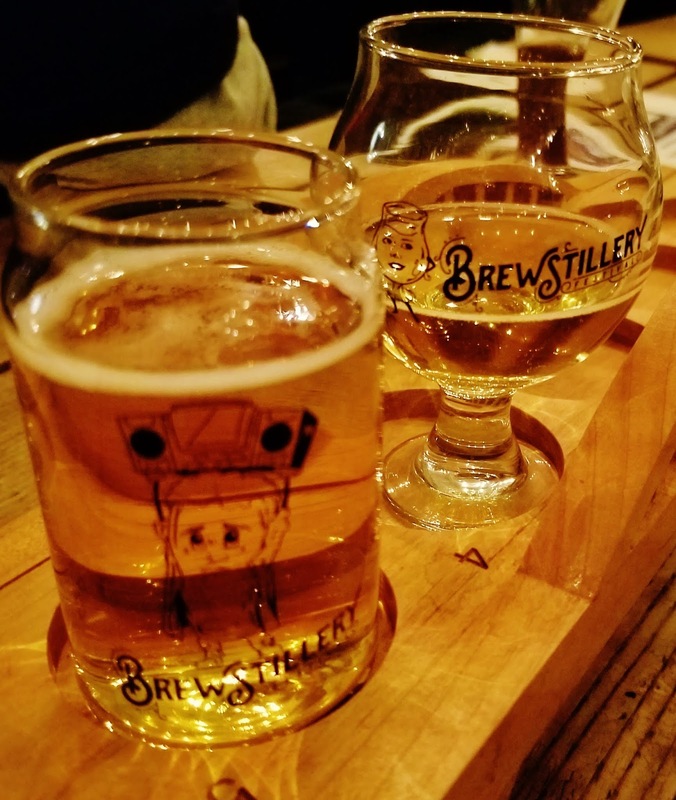 Brewstillery, the beer and spirits pairing festival from StormBreaker Brewing, kicks off its fifth year this Saturday, February 23 offering 22 beer and spirits pairings to attendees. The festival is something founders Dan and Rob had in mind from the beginning with Dan saying that they wanted to provide “an opportunity for people to try things they wouldn’t usually try.” We’ve certainly found that to be true every time we have attended and again recently when we had a chance to preview some of the pairings. Both the beer and spirits lineups are diverse and wide ranging. From sours to IPAs to porters on the beer side and rums to whiskeys to liqueurs on the spirits side, it’s likely that even the most seasoned drinkers will come away from the festival having tried something new to their palate. We don’t want to give away all the festival’s secrets but here are a few of the pairings that hit the mark with us. Three Amigos is a Mexican-style Lager made with a touch of agave to bring out the slight sweetness in this cane spirit from Brazil. We loved the overall light, simplicity of this pairing and highly recommend it as one of, if not the first, pairing festival goers try. Back in the day Rogue’s Hazelnut Brown was one of our favorite beers. Since then our palates have matured and we are generally far less enamored with it than in the past. In this pairing, with Rogue’s spirit arm of the company providing Rye Malt Whiskey, the beer returns to some of its old glory. It’s no secret that we’re fans of IPAs and their sub-group hazy IPAs. While we enjoyed this beer on its own, the vodka trumped it in terms of citrus goodness. Together the two play off one another with the combination being slightly botanical and definitely delicious. This pairing is best described as “vacation in a glass” and not surprisingly with the use of an imperial coconut porter, is dessert-like. One of the few pairings we preferred boilermaker-style, save this until towards the end of the festival to sip upon and savor. In addition to offering imbibers a unique pairing experience, the event benefits Dollar For Portland, an organization that assists those with financial burdens due to medical and hospital debt, and Sierra Nevada’s Resilience IPA, with StormBreaker’s one-of-a-kind Westward Whiskey barrel-aged version. 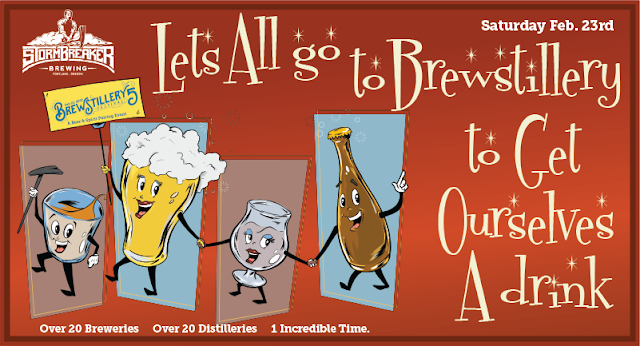 Tickets for the one-day event are available online until 10 am the day of the festival and for you, dear readers, at a price of $20 when you use the code “beerandwhiskey5” for general admission; $40 for VIP when you use the code “brewstileryVIP5”. 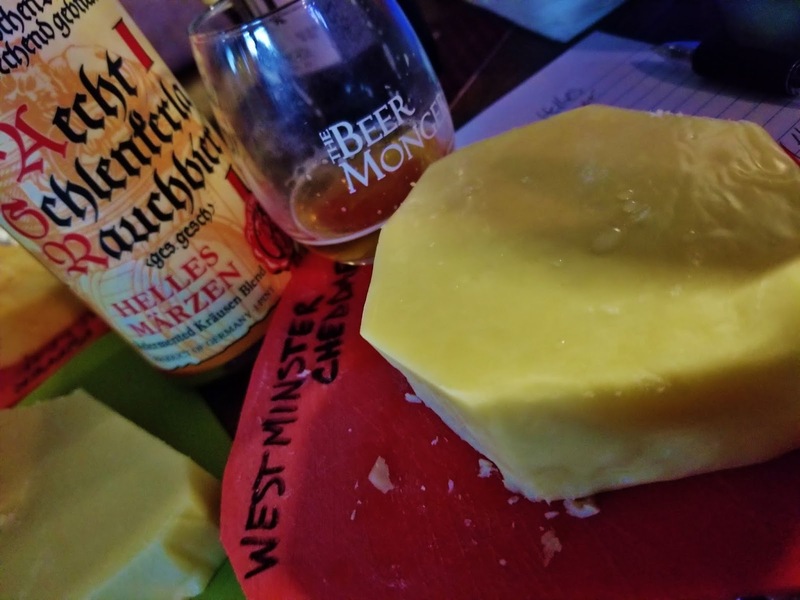 We kicked off the "month of love" feeding our love of cheese with another installment of pairing it with beer, assisted by numerous, like-minded friends. 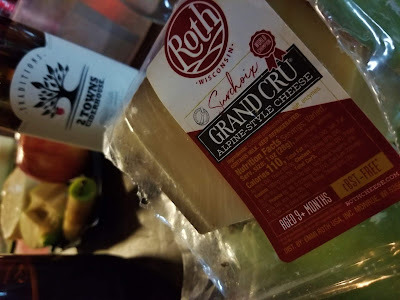 Our usual crew picked up cheeses from Trader Joe’s, Fred Meyer and Grocery Outlet (we’d heard they often have some good deals on good cheese), trying to select ones we hadn’t used in previous pairings. One friend, with family in Wisconsin, brought back three blocks of dairy goodness from his holiday visit. Other friends contributed their pairing skills helping to select beer and cider. From this fine time we found the following eleven pairings, in no particular order, to be our favorites. At 12 months old this cheese remains creamy, balancing the thin sharpness of this smoky beer. The cheese wasn’t overly spicy but did have a late palate heat that when combined with the juicy IPA was reminiscent of Burnside Brewing’s Sweet Heat. Since that beer is unlikely to be available again, if it’s something you enjoy, try out this beer and cheese pairing. Going in a completely different route with this beer, the effervescence of the Belgian Strong Golden Ale complimented the cheese’s heat nicely. Somehow this nutty cheese from Monroe, WI managed display both soft and hard characteristics at the same time, becoming more earthy when paired with the effervescent cider. The oddest looking cheese of this installment, it looks and even tastes a bit like root beer...in a good way. When eaten with this tanic beer it goes from root beer to chocolate. Hard to describe but trust us on this one. Less decadent than the previous pairing with The Dissident, it still goes the dessert route, reminding us of eating chocolate cake. 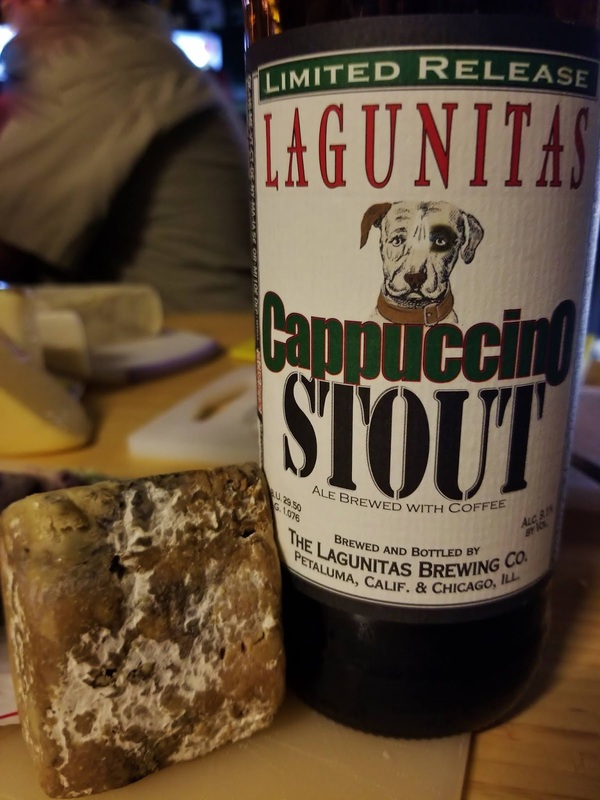 The sharpness of the Mosinee, WI cheese was brought out by this coffee beer and in return the cheese pulled the coffee flavor forward out of the sweetness of the beer. After a few bite, sip, bite, sip back and forths the combination was rich and dessert-like. As with other stout/blue cheese pairings we've tested out before, this one was a hit. A hunk of this delicious blue cheese and a bottle of this stout and bye, bye we’ll go off in a corner by ourselves, stopping only when the both of them have vanished. The intensely flavorful beer combined with the first-time-we’ve-seen-it blended cheese to create a deliciously unexpected chocolate bar flavor profile. Along the same vein of the pairing with Lagunitas Cappuccino Stout, the creamy blue cheese found a fast friend in this Flanders Oud Bruin that was aged for nine months on Oregon Marionberry puree. A big selling point on this 24 month aged cheese was the crystalline texture. The crunchy bits found in some aged cheeses are the result from the unraveling of protein chains, adding what we believe to be a very desirable texture to the cheese. 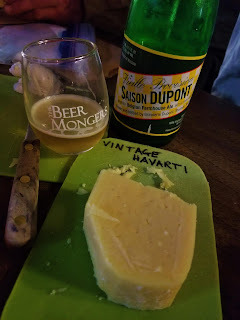 Saison Dupont has proven to be a very pair-able beer for us in the past and in this pairing it amplified the flavor of the aged cheese further still, much to our delight. Big thanks to everyone that joined in the fun with us! The more palates and minds we have contributing, the better as far as we're concerned. And even bigger thanks to The BeerMongers for indulging our pairing forays. At some point, probably while perusing the chip aisle, we realized that there were a multitude of Pringles flavors. Obviously pairing them with beer was a task we should undertake, for the greater good. Through the combined efforts of our group we assembled 16 flavors* of Pringles and while we may have jumped the shark with our latest [hair-brained] pairing idea, what is done is done. Therefore we present to you, dear readers, our findings. A moderate amount of Pringles is acceptable. Consuming large quantities of Pringles is a recipe for a salt hangover. Heed this warning should you choose to replicate such an endeavor. 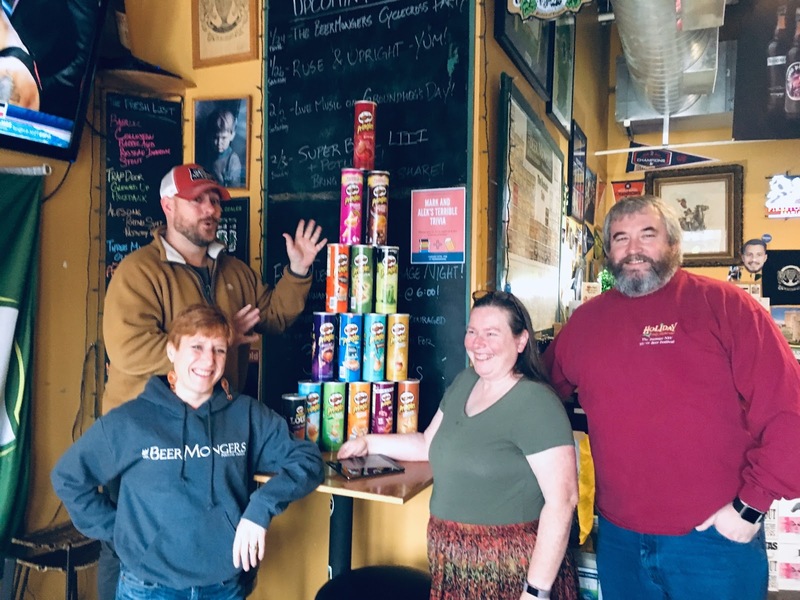 Just because a group comes to a consensus, such as “the Honey Mustard Pringles are unpleasant,” doesn’t mean it isn’t possible to find some beers that actually pair quite well with them. One such beer is Coalition King Kitty Red and another is Breakside Kids These Hazy IPA. Very different beers but each managed to mitigate whatever flavor components of Honey Mustard we disliked, transforming them into something that with the right liquid partner, we wouldn't object to snacking on. 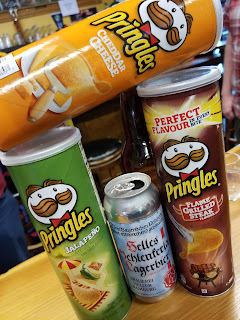 A German smoked beer lager worked really well with quite a few Pringles flavors. On its own, Brauerei Heller Bamberg Helles Lagerbier not something we would enjoy drinking more than a few ounces of but like Lesson #2, we quite enjoyed it with multiple Pringles flavors, including Jalapeno, Flame Grilled Steak, Cheddar Cheese and Loud Salsa Fiesta. For those who have not had the beer, perhaps a description that came out of our group will help: beer jerky. As we undertake our next pairing, in which we return to cheese, lovely cheese, this beer will be making a return to our pairing table. Check back soon to read about that! *16 flavors of Pringles: Loud Salsa Fiesta, Honey Mustard, Cheddar Cheese, Salt & Vinegar, Extra Hot Chili & Lime, Cheddar & Sour Cream, Sour Cream & Onion, Ranch, Jalapeno, Loaded Baked Potato, BBQ, Buffalo Ranch, Flame Grilled Steak, Ketchup and Dill Pickle.